Families facing divorce often worry about what going to court means in terms of their resources, their future, and their privacy. If other methods have failed to create a positive result, they may worry that litigating their divorce will just make things more uncertain. At Meredith Clark Law, we strive to meld empathy for our clients with aggressive, bold representation on behalf of their best interests. Integrity and discretion are cornerstones of our practice. 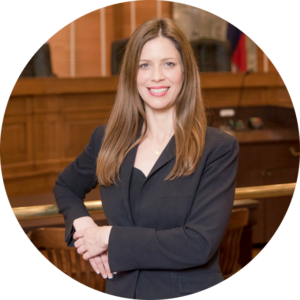 As a distinguished Texas family law attorney, our founder, Meredith V. Clark, has earned a reputation for quality results that are grounded in her skills as a litigator. When you work with our Houston-based law firm, you will have a genuine advocate who can help you resolve even the most sophisticated legal disputes in a cost-conscious manner. What Does A Good Result Mean In Divorce? One of the most challenging aspects of a family in turmoil is the emotional trauma that people experience. For many, this is like losing a loved one, and the grief or anger associated with that can lead to rash decisions. Our lawyer’s goal is to keep clients focused on the reality before them. Our firm helps them analyze each option available to determine what is worth arguing over and what will actually help them create the life they want once the divorce is finalized. By keeping the decision-making in your hands, it is possible to arrive at conclusions that meet your needs today and in the long term. Our firm cares about your peace of mind. Get the consultation you need today by emailing us via our online contact form.